Web Design,SEO,Web Marketing,Tampa,Clearwater, St. Petersburg. 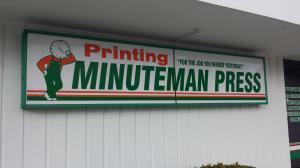 Specializing in all printing services from business cards and brochures to t-shirts and water bottles. Custom Printing is a complete graphic service provider specializing in Full color printing, screen printing, signs, banners & promotional product printing.